On July 22, Friends for Justice Philly, in conjunction with Landmark Theaters, Blues Babe Foundation, and Councilman David Oh’s Black Film Advisory Committee, hosted a special screening of Fruitvale Station followed by a brief, in-theater panel discussion with some of the Delaware Valley’s most prominent and dedicated community activists. Friends for Justice Philly is a group of young activists dedicated toward providing real solutions for many of today’s pressing issues that disproportionately affect the black community. Check out the Friends for Justice Philly website for more information regarding the organizations and young people involved and to keep up with our upcoming events. We believe that it is time to stop talking about the problems and start doing. Collectively we will create, develop and execute programs that will help to educate, inform, and progress our community. We are currently working on #nextsteps to inform our community of legal rights and legislation that can have an impact on their lives. Stay tuned for the “Know Your Rights Series. Remember to Like “Friends For Justice Philly” on Facebook. The purpose of the panel is to urge the community to rally together at this critical socio-historic moment around issues the movie raises. The brief discussion will include Fruitvale Station’s implications, impact and opportunity as a springboard for community partnerships and positive change. chronicles the true story of the last 24 hours of Oscar Grant’s life – a 22-year-old Bay Area resident who was fatally shot by BART police officer Johannes Mehserle in Oakland, California. In the early morning hours of New Year’s Day 2009 on the platform of the Fruitvale BART Station, Grant was lying down, handcuffed and unarmed at the time of the shooting. Grant’s case sparked outrage in the community and raised questions of police brutality and racial profiling. A little over a year ago, I prayed and asked God to enlarge my territory. 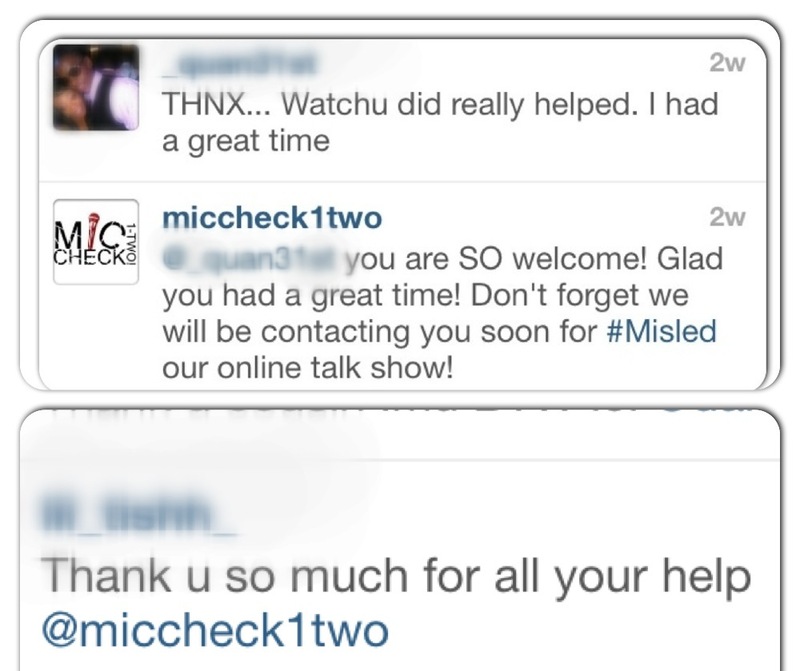 Shortly after I became an official member of Mic Check 1-Two! My adventure with Mic Check 1-Two has been just that, an adventure. Lana and I first connected spirits when she interviewed my father for a documentary. 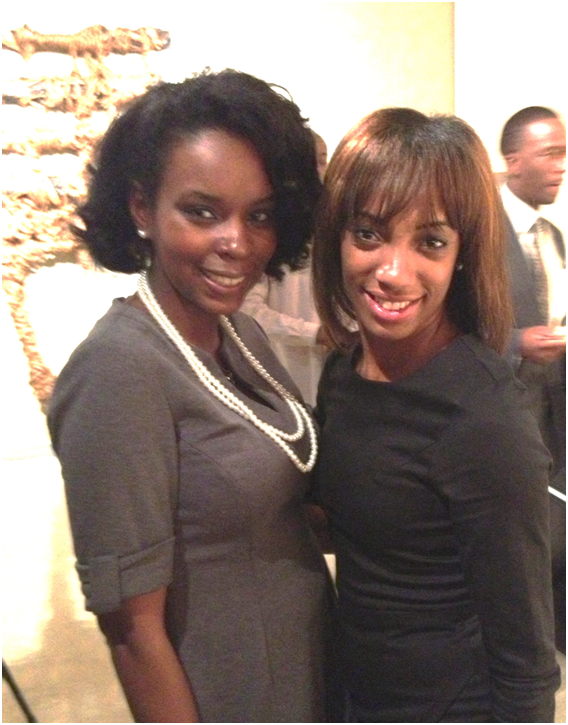 Coming into contact with young black women with similar visions is like finding a diamond in a rough. We shared the vision of unlocking the truths about our community, and educating our community on those truths. We each had the innate desire to encourage, support, and help our communities to use their voice as an agent for change. Needless to say, we connected instantaneously. Through Lana, I was introduced to Latiaynna, and the same thing happened! Our spirits linked and a beautiful friendship was born. When they decided to put on the panel discussion on The Portrayal of the African American Woman in the Entertainment Industry, I was thrilled to support! I mean how could I not support my friends in their endeavors to hold a discussion on something I too am extremely passionate about?